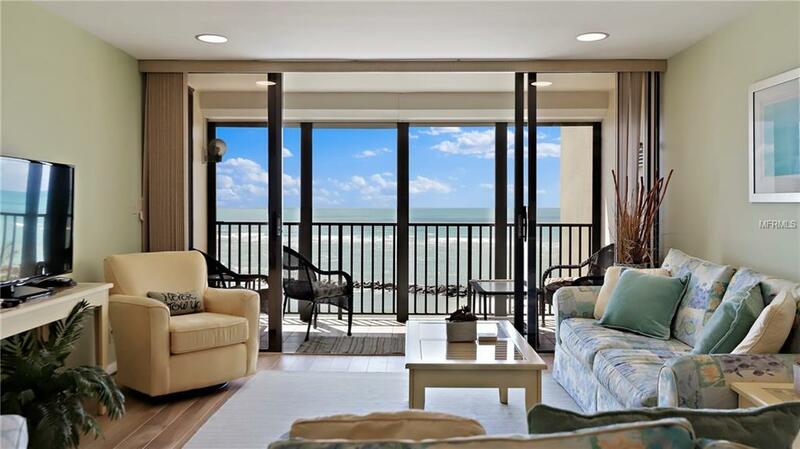 Live your beach life dream for real in this extraordinary, picture-perfect, Gulf-front unit at Envoy Point. 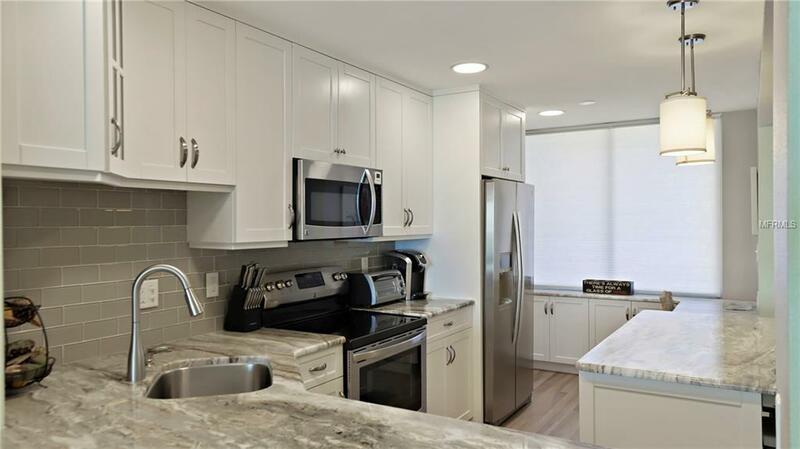 With direct water views from the open kitchen, living room, and master, this unit has been fully remodeled and is ready to move in. The very spacious kitchen has multiple areas of bar seating for perfect entertaining and features gorgeous granite countertops with stainless sink and fixtures, subway glass tile backsplash, modern and timeless soft-close cabinetry with straight sticking and glass door accents, tons of thoughtfully-designed storage, Kenmore Elite refrigerator with water and ice, microwave, cooktop, oven, and dishwasher. 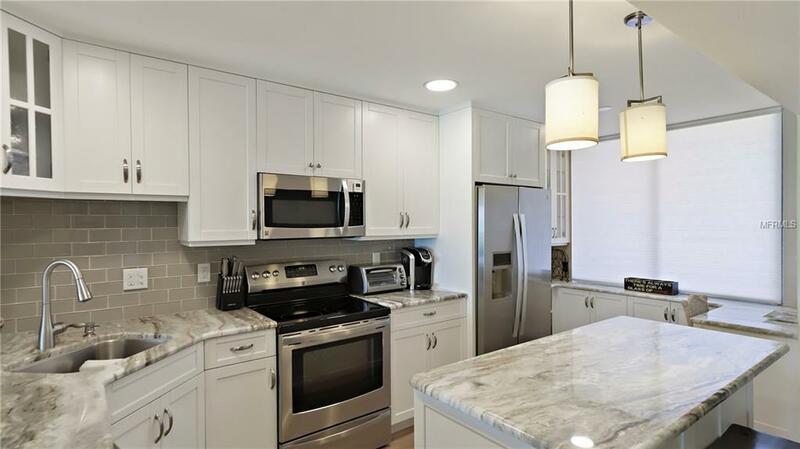 In the back of the kitchen, there is a super-cute built-in desk area with additional counter space and storage, plus gigantic views all the way to downtown St. Petersburg. Youll enjoy extraordinary direct Gulf and beach views from the master bedroom, with a balcony access and large walk-in closet, and the master bath has a modern and stately vanity with solid surface counters, chrome fixtures and sconces, and beachy beadboard wainscoting. The guest bedroom has sweeping inland views. 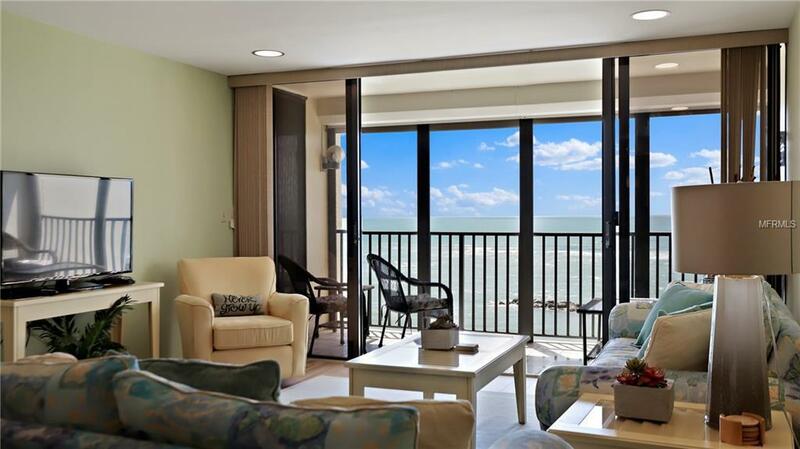 To top it off, this unit is sold fully furnished and decorated with incredibly charming beach chic touches that will perfectly complement your new oceanfront lifestyle. Envoy Point is a unique, gated, 2-building complex on the edge of Blind Pass, featuring 2 pools, gym, rec room, and a truly stunning tropical beachfront garden with winding paths and idyllic lairs. Additional Water Information Direct Beachfront On The Gulf At The Tip Of St Pete Beach Near The Mouth Of Blind Pass. Gorgeous! Additional Lease Restrictions See Association Docs For Details.